It was a lovely weekday afternoon when I decided to head out with my college for lunch nearby the office. He asked if I would like to try ramen with whipped cream and while I am not a fan of whipped cream (I always ask for Starbucks not to add it to their Frappucinos), I was down to try something new that day, so I said why not. There was a short wait outside the shop in the winter cold, because the place was almost at its limit even with counter seats, there wasn’t any space to wait inside. 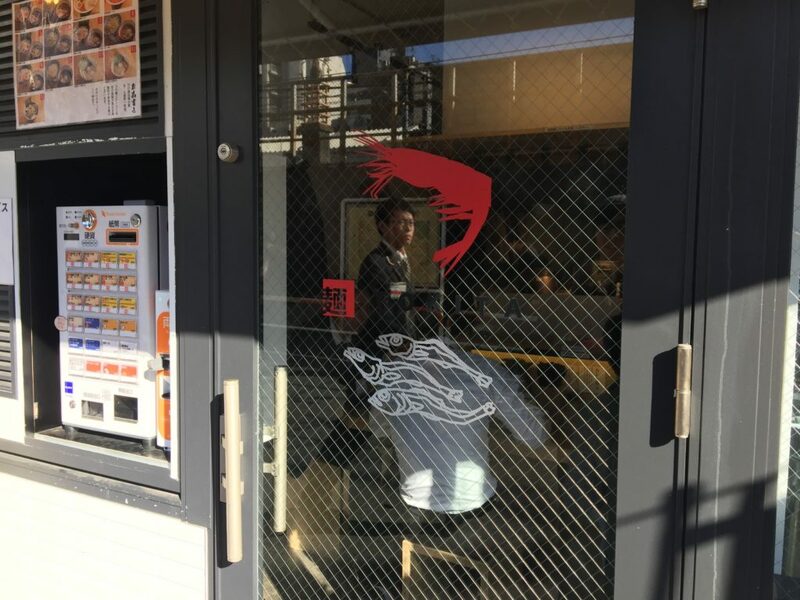 Technically, while it was a ramen shop I went to, what I ordered from the vending machine was the Special Shrimp Foaming Tsukemen (特製海老泡つけ麺), since it was the one with the whipped cream. 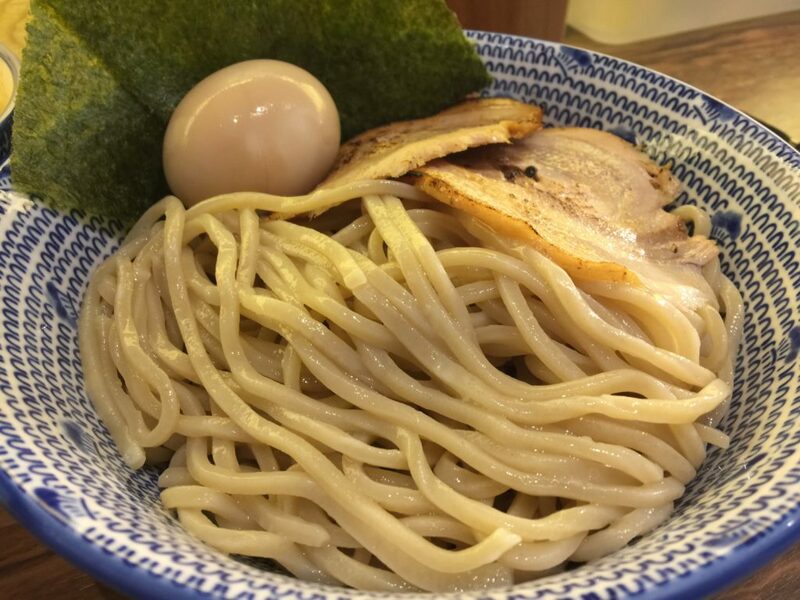 Tsukemen is a style of ramen noodles where you dip noodles in soup and eats them, instead of the noodles served in the soup. It wasn’t long before we were seated. It was a pretty regular-looking ramen shop, albeit a little cleaner and more fashionable like a lot of shops in Yoyogi is. I was seated fair quickly and I was given a choice of a larger serving at no extra cost. Being the cheap Asian that I am, I went for the larger serving. 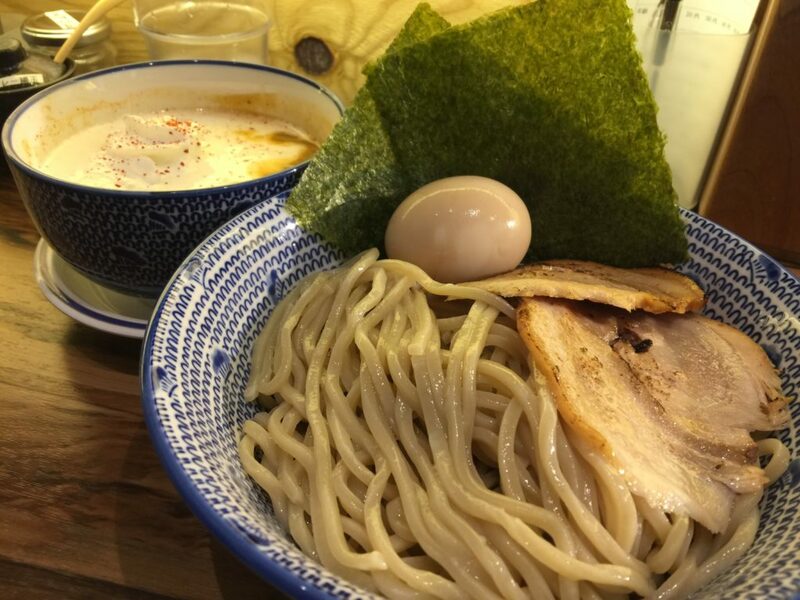 When the tsukemen came, the broth was presented so that you can obviously see the shop’s unique offering of whipped cream. It was an interesting sight looking at the broth half covered with white, since there wasn’t anything quite like it. I stirred the cream into the broth and took my first bite. Since I didn’t like whipped cream on it’s own, I was pretty surprised that the taste of the actual whipped cream was practically non-existent. All the cream really did was lower the temperature of the broth and made it thicker in texture but lighter in taste. 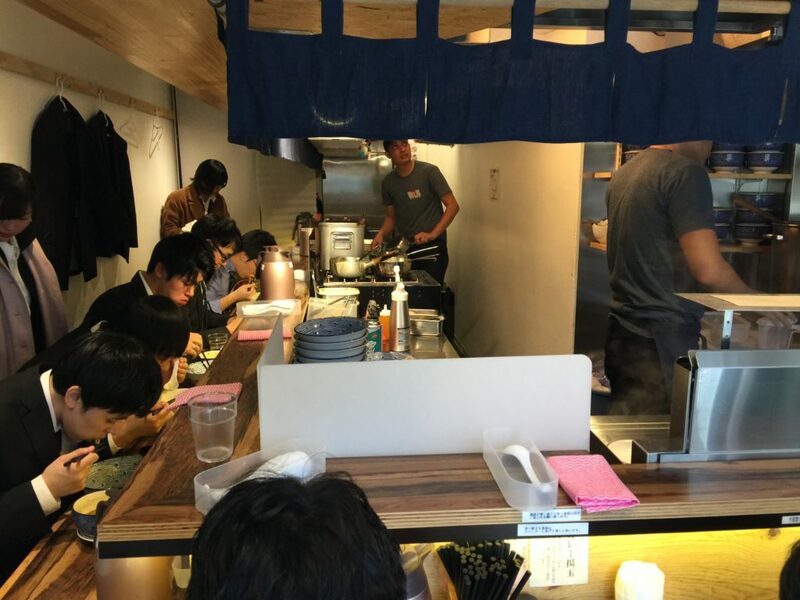 The noodles, meat and other components of the dish was pretty good, but not much different from other respectable ramen shop. As expected, it was the whipped cream fusion that made it taste interesting and to me, increase the complexity of flavor. 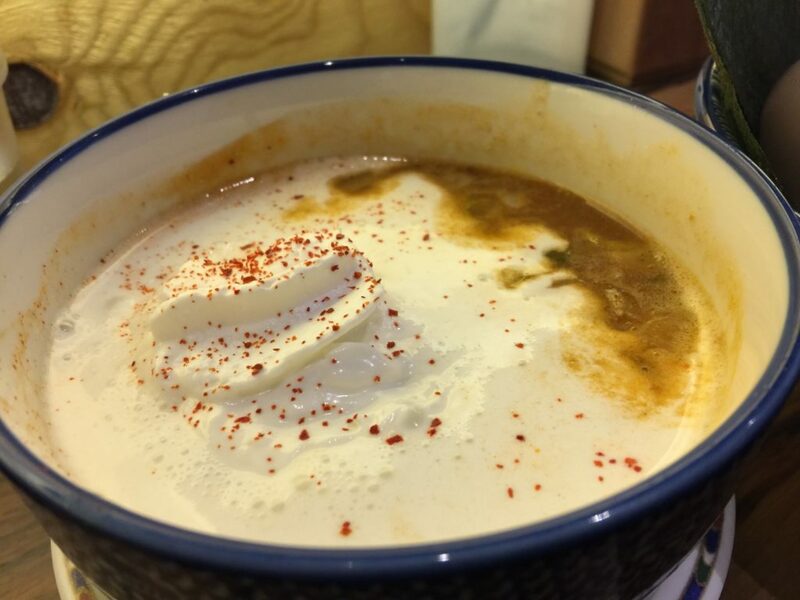 Since the saltiness of the broth was neutralized by the cream, each bite was easy and I went through the entire bowl quickly. Because it was unlikely that you would finish all the broth just by dipping noodles, they offered a free half bowl of rice during lunch for you to enjoy the last of your broth with. 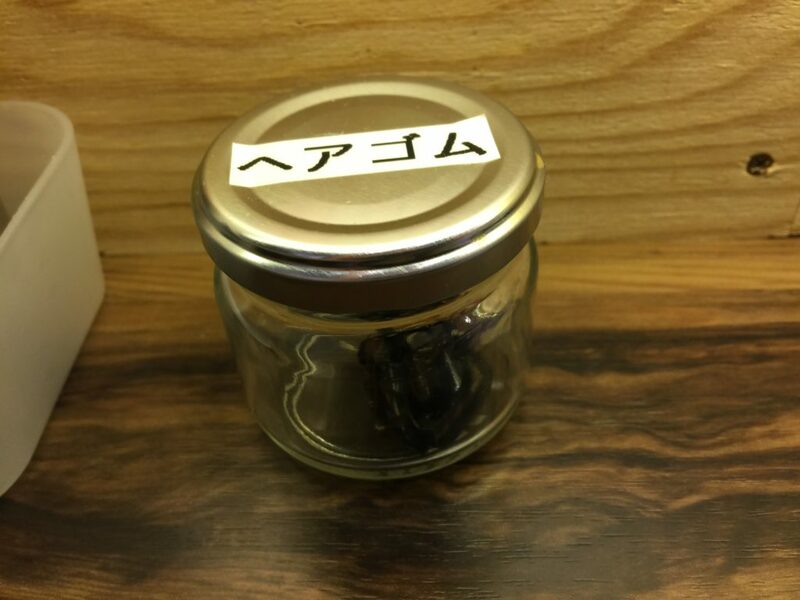 Planning a trip to Tokyo? Check out how you can get up to 53% off your accommodation with this Airbnb coupon. Admittedly, I would not eat this on a regular basis. I can’t imagine one would get used to this taste and crave it on a daily basis or even often. But, I was happy I got to try it and would definitely recommend you to do so. Found it a little cool they had hair ties to aid your ramen-slurping. For every hungry Bapehead out there. Get your jajangmyeon fix in Tokyo’s Koreatown.